When it comes to pests, the thought of them is enough to make you squirm. Don’t worry though, Sun Dry, as pest control Brisbane experts are here to help. Here are our top pest control tips that you can use around the home to keep the creepy crawlies out. 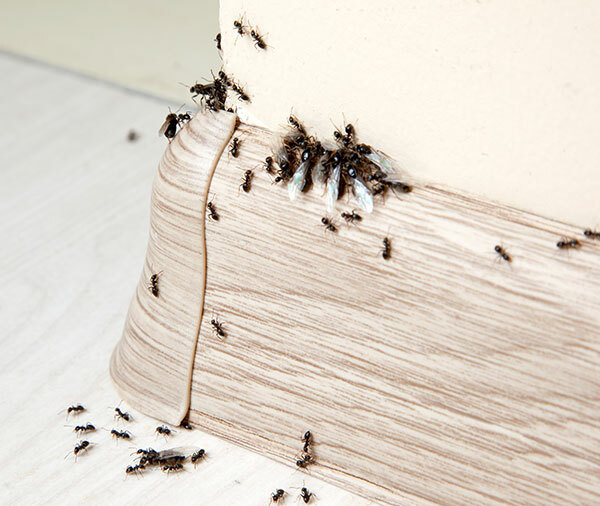 You can scrub, dust and clean the entire house but that may not rid your home of certain pests. A good example of these stubborn pests are bed bugs. These pests don’t care much for the food in your kitchen. The best way to eradicate them is by hiring a pest control Brisbane technician who will use specific treatments to kill the bugs and their eggs. Bed bugs move easily through luggage and clothing and can be picked up from communal areas and hotel rooms. We always recommend that bags and other luggage from travels should be cleaned thoroughly before they are stored away in the house. It is a good idea to make sure that your home is kept clean. Maintain high levels of hygiene in your home, arrange things neatly and make sure the entire home including crawl spaces and storage spaces are completely dry and aired often. Trash bins are particularly attractive to pests and leaving yours outside and exposed creates the perfect environment for all sorts of pests. Make sure your bin is kept several metres away from your home and is sealed. Inspect your home for any cracks, holes or openings that could let pests in, then seal them off. Termites are extremely destructive, so make sure that piles of wood and timber is kept well away from your home and stored off the ground. You can also plants and herbs that repel insects, bugs and rodents. Place these plants in strategic places such as doorways, window sills or in your garden. If you are using chemicals at home to try and treat pests yourself, be careful with the pesticide you are using. Only mix the quantity you need to use and be sure to follow the instructions on the label. Many people assume that the more potent the mixture is, the more effective it will be. This could do more harm than good. Wash your hands after use, store any remaining pesticides in their original container and out of reach to avoid potential accidents. Rather than take the risk, you may be better off calling a pest control Brisbane technician to handle the pest problem for you. It is important for you to understand the kind of pest you are dealing with to ensure you take the appropriate action. Make your home unattractive to pests by denying them food sources and maintaining high levels of hygiene. If you suspect an infestation, call in a professional pest control Brisbane company such as Sun Dry. Contact us today for a free quote.